It's been Easter, woohoo! As it's been a few days now, in our house we've eaten most of our Easter Eggs and so we're feeling a little bit on the bigger side around the tummy. 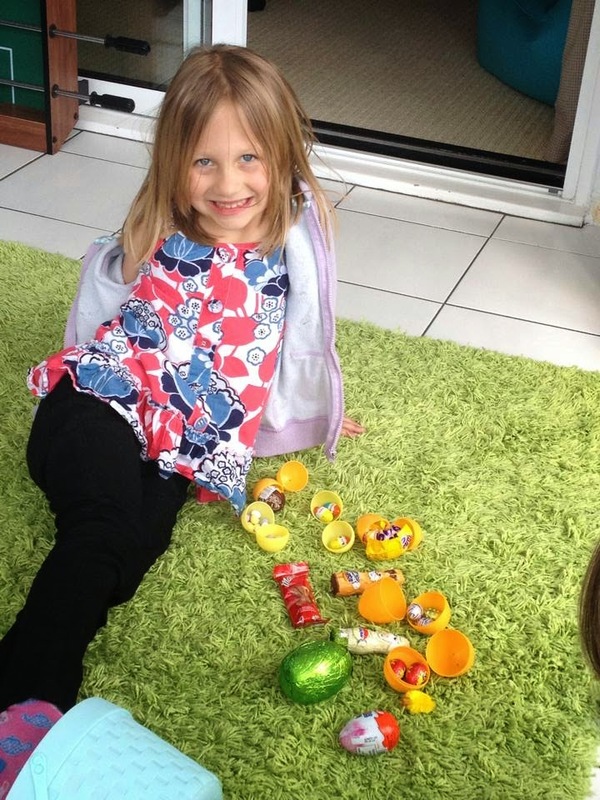 This photo was taken just after the Easter Egg Hunt with Little Miss P showing me all her things she found and straight after this photo she asked if she could have them. And as I am a great mummy (hehe) I let her have a few even though we hadn't had dinner yet. Hope you had a lovely and yummy Easter! I'm now on bloglovin so please come and join me! Far better to let them eat them!